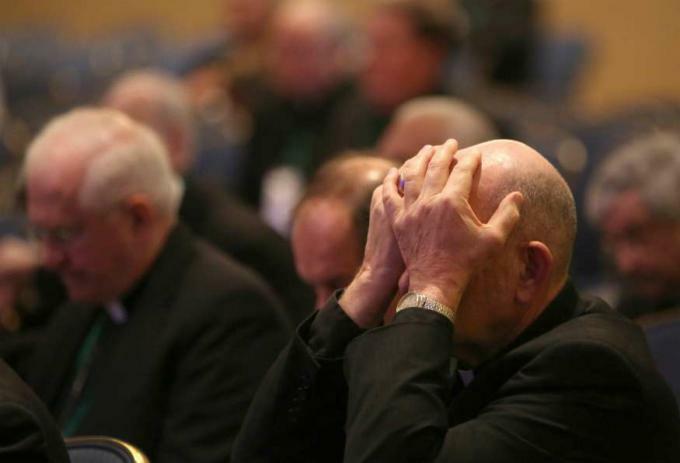 Baltimore, Md., Nov 12, 2018 CNA.- During a holy hour Monday morning, two survivors of clerical sexual abuse spoke to the U.S. Conference of Catholic Bishops about their experiences, and their hopes for the future of the Church. Of principal concern to many bishops is that they take action in order to convey to Catholics that they find sexually abuse and coercion intolerable, and that they will not abide the presence of wolves in their midst. Bishops know they will need to return to their dioceses and explain what has happened. They know they will have to explain the Vatican’s decision to their priests, many of whom are hoping for reform. And they know that they have to explain to the Department of Justice and to state attorneys general, who are investigating them, that they are trying to address this problem in a serious way.